Lucid Software co-founder and CEO, Karl Sun shares his thoughtful approach to recruiting talent and cultivating a workplace culture that fosters collaboration, innovation and goal-setting in a series of blog posts on Forbes Small Business Tech / #LikeABoss forum. Keep reading below for Karl's blog posts titled, Why I Still Interview Every New Hire (And You Should Too) and Why My Company Is Paying For A 300-Person Camping Trip. Karl's additional blog posts include A Goal-Setting System I Learned From Google (And Still Use At My Current Venture) and I'm A CEO Who Stalked My Office Manager; Here's What Happened. We started in a basement. A very cold basement with five individuals alternating between typing and sitting on their hands to stay warm. Two developers working full time while attempting to finish school, a student intern, a recently hired strategy consultant, and myself made up the overwhelmed and overworked Lucid crew. We needed more hands on deck, but hiring top engineers was no easy task for a fledgling startup with minimal revenue. We had several “good” candidates come through, but I knew there was a “best” out there somewhere. I just needed to find them. It was tempting to settle, especially watching my exhausted team burning the midnight oil on too many occasions. However, I knew that settling even just once could handicap future recruiting and retention efforts. So we waited, and we searched, and we recruited. And it was worth it. Today there are over 200 employees at Lucid Software, and we're building a brand new office to accommodate even more. I still interview every single new hire who walks through the door. Sometimes people are baffled that I choose to do so—there are only so many hours in a day. But at the end of the day, the ultimate success for a startup of our size is dictated by the people we have. Our growing team recently made a visit to Lucid's future home. Hiring is the most important part of what I do. I don’t want to micromanage people—I want them to have the autonomy to work on the projects they know will move the business forward. That’s a theory that only works if I hire individuals whom I can trust to tackle the problems we face. It comes down to finding the right people and placing them in the right role. It’s very easy to say you want to hire exceptional people, but it’s a whole lot harder to execute on that conviction. The challenge is especially acute during those early stages when your team is swamped and putting in those 12+ hour days. You might find someone adequate who would relieve the immediate burden. However, by settling, you run the risk of outgrowing that person’s abilities. Will they be able to perform the next eight tasks required of them as the company grows? If not, you’re back to the drawing board. You need people who will actively help fuel the company’s growth—not sit back and watch it happen. So be patient. Don’t settle. Hiring the first few people can be painful and feel nearly impossible at times. You can’t expect the truly exceptional to fall right in your lap. You have to invest the energy that you could easily use elsewhere to focus on connecting and finding that great person. But once you’ve hired the first, second, and third people, the fourth and fifth are a little bit easier. And by the time you’ve gathered 25 amazing employees, people will start to notice. Eventually they will start to come to you. I know this to be true—it’s why I pursued Google. I interviewed when Google was an organization of 500—not a global phenomenon of over 60,000. I didn’t join because of what I knew about the company (because I didn’t understand much, at the time). I joined because I was truly impressed with the people I met. When I interviewed, co-founder Larry Page had just recently stopped interviewing every person who came through the door. It was an impressive feat that had obviously made a difference—Google had attracted a pool of exceptional people, and that was putting it on people’s radars. I have tried to carry Google’s philosophy over to Lucid. We were patient and diligent and exhausted our networks to build a tremendous team from the ground up. I wanted talented people from the get-go so that people would feel the same way about Lucid that I felt about Google. I interview every single candidate because that is how I ensure each hire has the right values and will contribute in the right way. I trust my team completely, but every time you delegate a task, you become a little removed. The person my COO thinks is perfect might be different from who I think is perfect. And my VP of sales might have a different perspective than the COO and myself. Rarely am I going to veto a candidate whom everyone else has liked. Rather, interviewing each candidate myself allows me to check that the company stays in sync regarding what constitutes the ideal candidate, especially as we grow. The positive reinforcement we are reaping now is due to the back-breaking work during those first few years. We’ve been able to establish the company as a great place to start and grow a career, and that helps us to continually attract top talent. In addition to interviewing candidates yourself, have them meet as many members of the team as you can. Doing so lets the candidate interact with their potential co-workers, and it allows employees to feel they have buy-in on who joins their team. But make it a streamlined process—have the right decision makers interviewing and get back to the candidate as quickly as possible. As CEO, I could always be spending more time thinking about marketing, product, and sales. As the company grows, I can’t wear all the hats anymore. However, I have great people in each of those areas whose judgment I can rely on. In doing so, it frees up my time to focus on hiring more exceptional leaders I can trust. It’s just one big cycle. I am passionate about people. 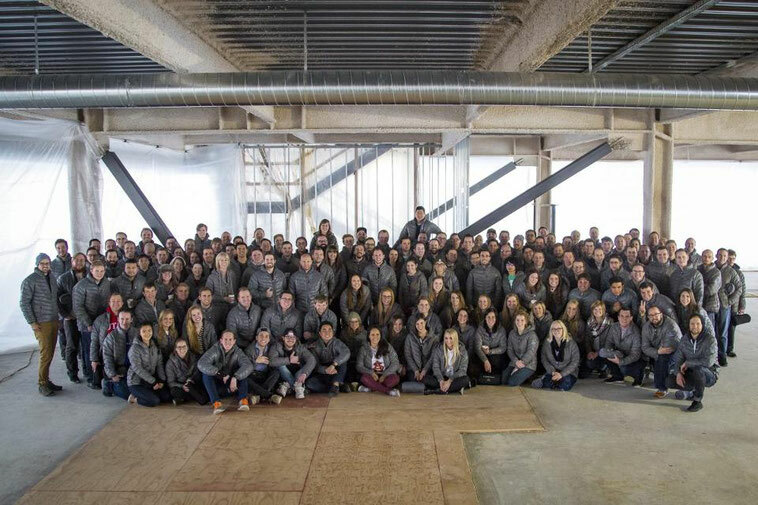 While I am proud that we’ve been able to grow the company to where it is and earn the customers and revenue that we have, I’m the most proud of the team we have been able to assemble. So invest the time to find the exceptional—even if you’re still in a basement. When you do, it will be easier to get things done, you’ll get more done, and you’ll have a whole lot more fun doing it. How many broken bones and stitches does it take to knit a company together? I’m not entirely sure, but I intend to find out. Here at Lucid, we’re bringing employees together one ER trip at a time. The average person will spend 90,000 hours at work over the course of a lifetime, and 78% of people working 30 to 50 hours per week spend more time with their co-workers than they do with their families. Those are large, startling numbers. Yes, work pays the bills and the rent, but after looking at those stats, you have to sincerely hope your employees feel their time at work adds up to more than just a way to make ends meet. What we are doing at Lucid requires a lot from employees—not necessarily in terms of time but in terms of focus, creativity, and energy. Rather than showing up for eight hours and then pushing work to the back of their minds, we want employees to be all in. To achieve such a state, we have to cultivate a workplace people want to be part of in the first place. We have to create a culture that transcends the quest for work-life balance. I don’t ever want my employees to wake up and groan that they have to go to work. My goal is to make Lucid a place where people genuinely want to be because they enjoy what they’re doing, and, maybe more importantly, whom they are doing it with. It’s not rocket science. In order to create that type of culture, employees need consistent opportunities to get to know their co-workers beyond the workplace, and it’s up to leadership to make that possible. For me, providing these opportunities is something that was easy as a company of seven but that has proven increasingly difficult as Lucid has expanded to nearly 300. As you grow, you have to be much more proactive about providing the avenues that allow employees to build meaningful relationships and cross-pollinate ideas with more than just the person next to them. Get out of the office—far, far out of the office. Some of our best company bonding stems from traditions we started as a group of seven—a group of seven tired and overworked entrepreneurs who needed a bit of fun to reignite the entrepreneurial spirit. 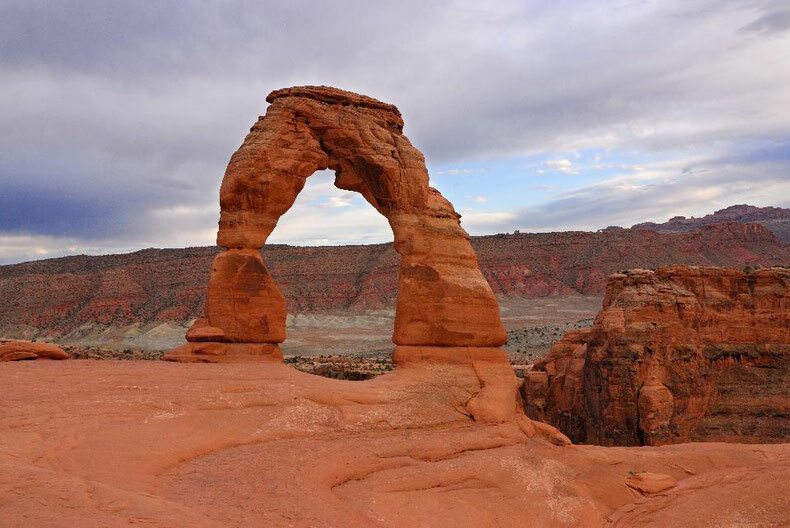 We threw our bikes and hiking boots into a couple of cars and headed to southern Utah’s sandstone playground for a few days. Minus one trip to the ER for an engineer’s biking excursion gone wrong, the trip worked like a charm. We were able to blow off steam and build relationships that traveled back to the office with us. We realized the new unity and fresh energy that came from spending time together away from the stress of the office, and our spontaneous getaway turned into an annual company retreat. Last summer, we took 170 employees to Zion National Park. In full disclosure, this tradition has become a major investment. Every year we have the same discussion around whether it makes sense to hold the retreat again. While the retreat is a wonderful idea on paper, we’ve had to seriously evaluate whether it makes business sense. As we’ve grown, our office managers have come to refer to the retreat as “the logistical nightmare.” Three days is a big cost in terms of both money and productivity. When we were a group of seven, we could still get some work done while on the retreat. That’s much harder now, especially if the only Wi-Fi to be found is barely serviceable and in the lobby of the lodge. We ask some teams to cover critical functions, and there can be resentment that while most are having fun, others are asked to work. Inevitably, certain compromises have to be made—you can’t leave your customers without any support for three days, you can’t risk having the website go down without anyone there to fix it, and you have to follow up on important sales leads. Someone has to hold down the fort. We don’t want those who need to work to feel like they are any less a part of the company, and we rely on incredible managers who set the example by stepping up to cover most of the work that must go on during the retreat. That example goes a long way toward the rest of the team being willing to step up. Then there are those who simply don’t want to come. When I first started at Google, the first retreat was a ski trip. My initial reaction: I would rather stay home with my family than go on vacation with my co-workers. I was quickly told that just “wasn’t how it worked.” That wasn’t the point of the retreat at Google, and it’s not the point of the retreat here at Lucid. While we have fun on retreat, it isn’t a vacation. Team building and creativity is the objective. We don’t make these trips compulsory, but we do strongly encourage everyone who is able to come. And if an employee isn’t at the retreat, he or she should be in the office working. Having said all that, here we are six years later, preparing to transport, house, feed, and entertain nearly 300 people at Bear Lake this week. While the benefits aren’t tangible (which can be frustrating), the results are definitely there. This minimally structured environment builds relationships and fosters interdepartmental creativity. And you (and your employees) will notice. When the entire company spends three days offsite doing virtually everything together, you are able to isolate everyone from the distractions that can otherwise inhibit healthy company interaction. It’s pretty remarkable what happens when you put a group of people in a relatively compressed space with limited cell service. As the company has grown, the retreat has become even more valuable. It’s no simple task trying to recognize every face at Lucid these days, and the retreat fosters cross-team interaction that allows employees to spend quality time with those whom they may have never met. Those relationships allow for improved communication and collaboration back in the office. It helps new employees feel a sense of identity, and it helps old employees break out of established social spheres. It keeps us from becoming corporate and tribal. In particular, I’ve found that activities introducing a bit of a challenge or competition are especially effective. We don’t want anyone to be excluded, and so we offer options for every level of adventurousness and physical ability. However, we are also sure to encourage our teammates to try something one step beyond their comfort zone. For example, convincing everyone to go rafting took some serious persuasion. While many found it to be a terrifying experience in the moment, it still remains a highlight for all who participated. While biking in Moab on another trip, our CTO was separated from the group and “left to die in the desert.” After suffering a flat tire and spending hours walking/hitchhiking back to town in the July heat—an uncomfortable experience but one of the most beloved Lucid stories to date—he found civilization and was reunited with the group. These sorts of experiences create a positive buzz around the office, and are the shared experiences on which new relationships are built. Of course, the fun and games (and challenges) should also be combined with more serious discussions. A retreat offers the unique and extremely valuable opportunity to bring all teams together in a relaxed setting to evaluate where the company is currently and where it is going, brainstorm across departments, and garner honest feedback. This environment can produce some pretty incredible ideas that can become larger projects back at the office. These insights are what balances the extreme productivity cost of the entire team going on retreat. The retreat is bonding on steroids, but those good vibes aren’t going to last until next year all on their own. In addition to the yearly retreat, we host quarterly company activities that get employees out of the office again, but this time we invite their families to come too. We want the Lucid family to extend beyond the workplace walls and encompass the people most important in our employees’ lives. When you add in families, activities can become a 600+ person ordeal. But getting to know someone’s family can have a profound effect on your relationship with and understanding of that person. A lot comes out when building these informal relationships. You learn about people’s motivations when you can stop talking about work specifics. We hope that it will foster more empathy among employees. In addition, we want families to understand what Lucid is all about and to feel like they are part of it—because our employees invest a lot into Lucid. Invest the time and resources to plan activities that match your company values and interests. We’re some of the biggest Star Wars nerds around, so we rent out a theater for each movie release. Our culture is very outdoor-oriented, so we’ll take everyone sledding at the local tubing park for an afternoon. Just make it something that the extended company family will all enjoy doing. Let your teams do their thing. While getting to know the whole company is very important, remember whom employees spend the majority of their time with—their immediate team. When we first started, we would take the entire company to Salt City Burger for a bunch of delicious burgers each time a new hire started. After we outgrew the restaurant’s seating capacity, we realized how much we missed having that type of intimate activity as a company. We wanted to facilitate this smaller-scale interaction even as we grew, so we created a monthly budget for each team to use on an activity of their choice. You have to consider that just because a team sees each other and offers a cordial “good morning” each day doesn’t mean they really know each other. These regular activities offer the chance for the entire team to spend time together on a more personal level participating in an activity of common interest. Communication, collaboration, and productivity in the workplace can get a dramatic boost when teams can relate beyond the office. These activities come in all shapes and sizes. Our growth team used their budget to purchase drones so they could host drone wars at the office, and the admin team went snowmobiling. The customer support team took a cooking class, and the marketing team went go-karting. The sales team bought hoverboards for improved office transportation and obstacle courses, and our engineering team laughed their heads off while sustaining a few minor injuries playing bubble soccer. Each of your teams is very different, and the ways in which they best interact will be just as diverse. Of course, sometimes team budgets are misallocated. Teams will fail to plan an activity and will end up just buying a bunch of “stuff” at the end of the quarter—not really the point of the budget. Or you’ll get a team who just goes to a movie every week—movies don’t allow for much social interaction, and the budget isn’t meant to take time away from work every week. So you may have to make corrections. The tricky part is learning how to coach without becoming a micromanaging buzzkill. I’ve found that the trick is to communicate the guidelines well enough that people catch the vision and run with it appropriately, while offering correction when necessary. Remember that all work and no play makes Jack a dull boy. Obviously you have to find the balance—there’s a lot of work to be done everyday, and it’s important to be responsible with company funds. However, if you have a committed team, you can have a good time while still meeting deadlines. Providing opportunities for everyone to step away from the desk creates a sense of community and a positive environment that will, in turn, improve the efficiency of your organization. So get in the go-kart, hop on the hoverboard, or lace up those hiking boots—it will be well worth it.